Benjamins are proud to present this spacious and versatile detached four bedroom family home situated in the highly sought after village of Plumtree. The property boasts a newly fitted kitchen, cloakroom and main bathroom. The property has also been extended at the rear to provide flexible living accommodation which now comprises of entrance hallway, lounge, dining room, family room/games room, study, refitted kitchen, downstairs w.c. To the first floor there is Master bedroom with en-suite bathroom, three further good sized bedrooms and a refitted family bathroom. 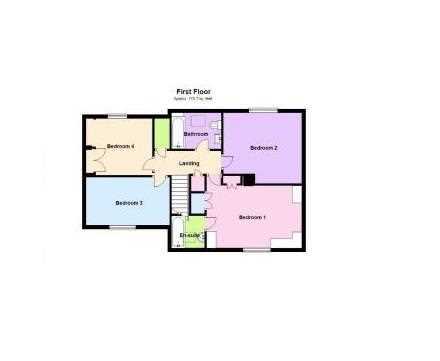 The front of the property has ample off road parking leading to a large integral garage with electric door and utility area. There are attractive gardens to both the front and rear of the property. With radiator, smoke alarm, recessed housing for the alarm control panel, thermostat control, stairs leading to the first floor and doors leading to the lounge and kitchen. 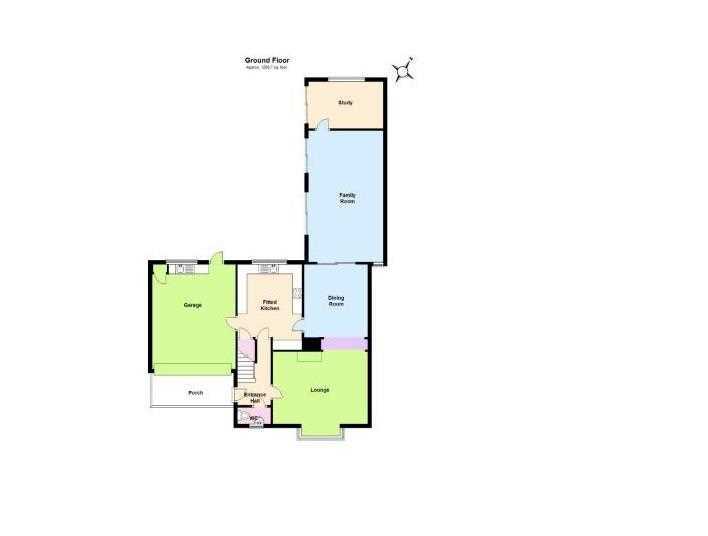 Refitted in 2017 with a contemporary white two piece suite comprising pedestal wash hand basin with mixer tap over, concealed cistern low flush w.c and part tiling to walls, obscure double glazed window to the front elevation, recessed mirror with spotlights over, radiator, pendant light fitting. With double glazed bay window to the front elevation, radiator, coving to ceiling, spotlights, cast iron multi fuel wood burning stove with granite hearth, t.v aerial point, archway leading through to the dining area. Refitted in 2013 with a range of cream fronted wall drawer and base units with slow closing doors and drawers, inset stainless steel bowl and a half sink unit with mixer tap over, integral dishwasher, double oven and grill with storage cupboards both above and below, stainless steel four ring gas hob with stainless steel splashback and hooded extractor fan over, integral fridge and freezer and chrome spotlights, double glazed window overlooking the rear garden, Amtico wood effect flooring, Breakfast bar, radiator, and door leading to the hallway, larder cupboard with fitted shelving, obscure glazed door giving access to the Integral garage and utility room. With electric roller door, fusebox, gas meter, space for upright fridge/freezer, cream fronted base units with inset double bowl sink unit with mixer tap over, plumbing for washing machine, space for tumble dryer, wall mounted condensing gas central heating boiler refitted in 2014, double glazed window overlooking the rear garden, obscure glazed door leading onto the rear garden, separate water tap, overhead lighting as well as power points and electric car charging point. With two sliding double glazed patio doors leading onto the rear garden, radiator, obscure glazed window to the front elevation, down lighting, wall lights, wall mounted air conditioning cooling unit, t v aerial point. With obscure double glazed window to the side elevation, radiator, coving to ceiling, pendant light fitting, sliding double glazed doors opening into the Family Room. With sliding double glazed patio doors leading to the rear garden, obscure glazed window to the rear elevation, radiator, fitted shelving to one wall, overhead light. 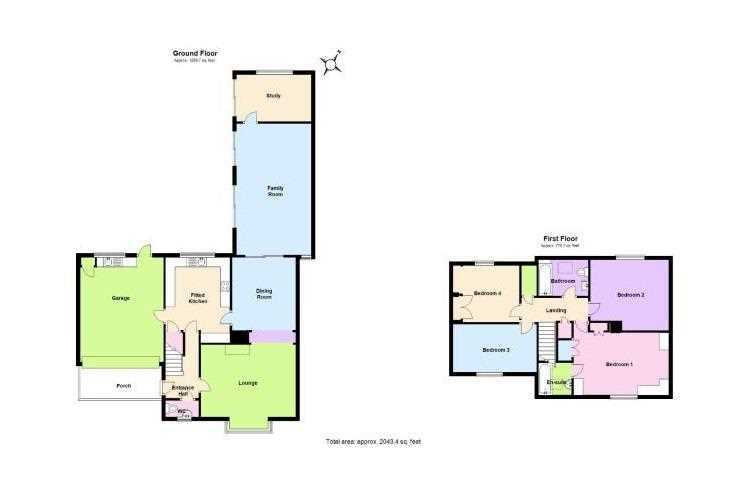 Fitted with a two piece suite comprising of a bath with mixer tap over, vanity wash hand basin with cupboards below, tiling to walls, chrome towel radiator, spotlights, velux window to the front elevation. With upvc sash dormer double glazed window to the rear elevation, radiator and t.v aerial point. Refitted in 2016 with white 3 piece suite comprising of a P shaped bath with mixer shower tap and screen, concealed cistern low flush Valleroy and Bosch w.c and vanity wash hand basin with mixer tap over and storage below, Karndean tiled effect flooring, tiling to walls, radiator, electric shaver point, fitted wall mounted mirror with lights over, chrome spotlights, extractor fan and velux window to the rear elevation. 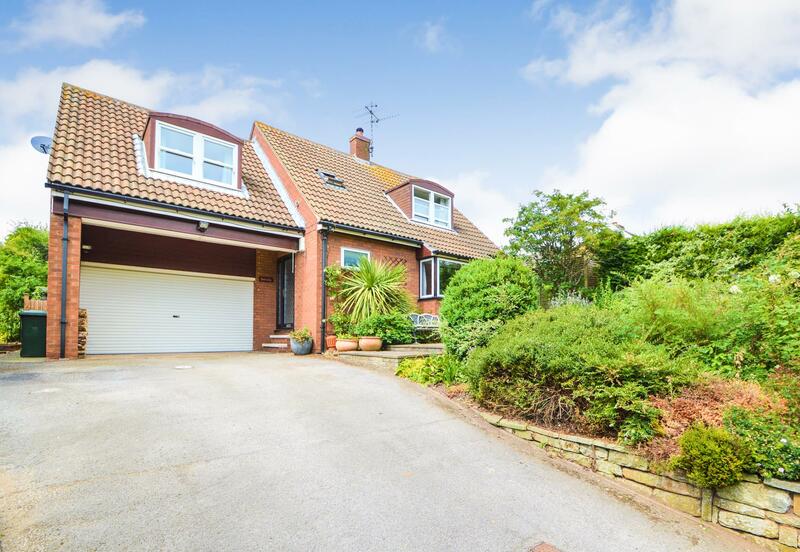 To the front of the property is a tarmac driveway providing ample parking for three/four cars which in turn gives access to the integral garage. The garden is on an elevated plot with a lawned front garden area with a wide variety of shrubs and plants. The rear garden comprise of a large patio area over two levels with the rest of it mostly laid to lawn surrounded by borders consisting of a variety of shrubs, plants and a small pond in the corner which is a lovely feature. The local authority has advised us that the property is in council tax band F , which we are advised, currently incurs a charge of £2561.83. Prospective purchasers are advised to confirm this.